아래의 과목별 IELTS 시험 샘플을 보시고 시험 준비에 도움이 되시기 바랍니다. 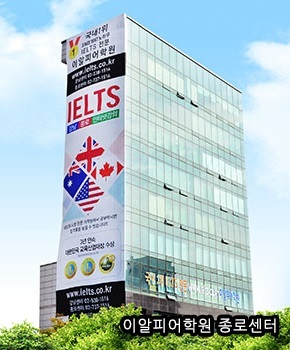 시험 샘플 출처는 www.ielts.org 입니다. 참고로, 최근 기출문제집 교재를 구매하시어 공부하시면 더 많은 기출문제를 보실 수 있습니다. The test consists of four recorded monologues and conversations. A variety of questions are used, chosen from the following types; multiple choice, identifying information, identifying writer’s views/claims, matching information, matching headings, matching features, matching sentence endings, sentence completion, summary completion, note completion, table completion, flow-chart completion, diagram label completion, short-answer questions. It has two writing tasks of 150 words and 250 words. In Task 1 candidates are asked to describe some visual information (graph/table/chart/diagram), and to present the description in their own words. They need to write 150 words in about 20 minutes. In Task 2 candidates are presented with a point of view or argument or problem. They need to write 250 words in about 40 minutes. In Task 1, candidates are asked to respond to a situation, by writing a letter for example, requesting information or explaining a situation. In Task 2, candidates write an essay in response to a point of view, argument or problem. The Speaking test is the same for both Academic and General Training tests. Each of the three parts are designed to test a different aspect of your communication ability.